Around every major holiday, Los Angeles law enforcement officials increase their efforts to combat drunken driving. 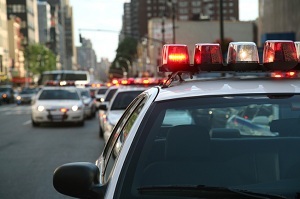 Drivers should expect to see several DUI checkpoints and saturation patrols during the upcoming Fourth of July holiday. Since Independence Day this year falls on a Wednesday, patrols will be out not only on that day but also throughout the entire week. According to a City News Service report, there will be DUI saturation patrols on July 4, 2012 in the Harbor patrol area and on July 8, 2012 in the Rampart patrol area. Officials will also set up a number of 4th of July DUI checkpoints in and around the Los Angeles metro area. For example, the LAPD (Los Angeles Police Department) will be near Vermont Avenue and Sixth Street on July 6, Lincoln Boulevard and Maxell Avenue on July 7, and at Laurel Canyon Boulevard and Paxton Street on July 8. There will be many additional DUI checkpoints and saturation patrols to keep an eye out for impaired drivers as well. Officials urge drivers to plan a safe way home before going out to celebrate the holiday. All drivers should designate a sober driver or contact a taxi for a ride if alcohol consumption was a part of their festivities. Hosts of parties should actively protect their friends by taking keys away from intoxicated drivers. Anyone facing DUI charges from a checkpoint or saturation patrol traffic stop should speak with an experienced Hollywood defense attorney right away. There are serious consequences for driving under the influence in California and drivers have to act fast to retain their driving privileges. The experienced criminal defense attorneys at Takakjian & Sitkoff know how to fight drunk driving charges and how to have penalties reduced. To speak with one of our skilled DUI defense attorneys at absolutely no cost, please call (866) 430-8383.